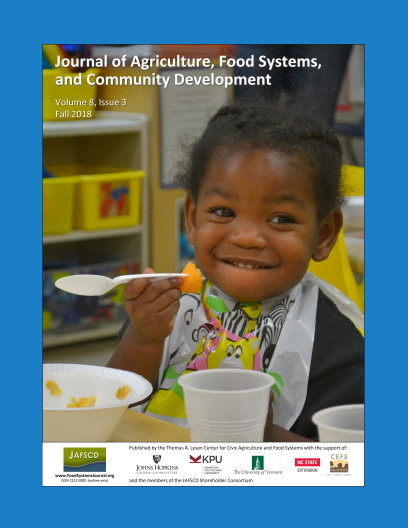 Identifying successful development priorities for local food systems (LFSs) is a challenge for pro­ducers, LFS advocates, Extension agents, and policymakers. Consumer perceptions and prefer­ences regarding what constitutes an active, healthy, and vibrant LFS often differ within and between diverse communities. Producers, development entities, and others would benefit from rapid assessment processes that provide detailed information on consumer preferences and potential market opportunities within their LFS. In this paper, we introduce the analytic possi­bilities of our Local Food System Vitality Index (LFSVI). Using data collected from a pilot survey in Lexington, Kentucky, we rapidly assess the per­formance of 20 different components of our LFS. The LFSVI differs from most other food system and quality-of-life indices by focusing on the per­ceptions of resident food consumers. In our analysis, we identify that Lexington resi­dents generally associate farmers markets, farm-to-fork restaurants, local product diversity, and retail sourcing of local food with high overall vitality of the local food system. While residents score the first three components as high performing, they perceive the retail component to be less functional. We use results such as these to compare which aspects of the LFS are valued versus which are high performing. We do this comparison across different resident food consumer segments in and between geographic locations. Throughout our analysis, we discuss how this index method is gen­erally applicable and conducive to identifying LFS development priorities.